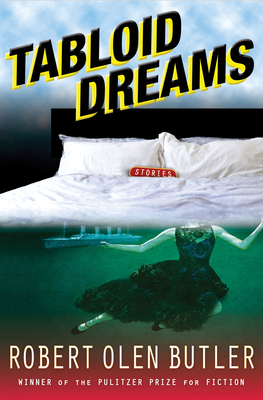 In Tabloid Dreams, Pulitzer Prize-winning author Robert Olen Butler dazzles with his mastery of the short story and his empathy for eccentric and ostracized characters. Using tabloid headlines as inspiration--"Boy Born with Tattoo of Elvis," "Woman Struck by Car Turns into Nymphomaniac," and "JFK Secretly Attends Jackie Auction"--Butler moves from the fantastic to the realistic, exploring enduring concepts of exile, loss, aspiration, and the search for self. Along the way, the cast includes a woman who can see through her glass eye when it's removed from the socket, a widow who sets herself on fire after losing a baking competition, a nine-year-old hit man, and a woman who dates an extraterrestrial she met in a Walmart parking lot. Tabloid Dreams weaves a seamless tapestry of high and low culture, of the surreal, sordid, and humorously sad. Robert Olen Butler has published thirteen novels, six story collections, and a book on the creative process, From Where You Dream. In addition to a Pulitzer Prize and two National Magazine Awards, he has received a Guggenheim Fellowship for fiction and an NEA grant, as well as the Richard and Hinda Rosenthal Award from the American Academy of Arts and Letters. He teaches creative writing at Florida State University.